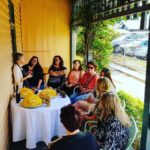 For delegates looking to explore Sydney in their down time, we have put together a list of other activities to enjoy, outside of the conference organised Social Functions and Partner Tours. Please note: Delegates are to arrange and book the below activities directly as per directions found via the web links provided. 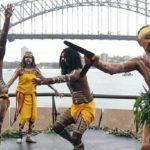 Hear stories of the Cadigal, Guringai, Wangal, Gammeraigal and Wallumedegal people of Sydney Harbour and learn the Aboriginal names and meanings of significant Sydney landmarks, before stepping ashore on Be-lang-le-wool (Clark island, National Park). 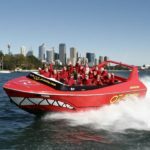 Oz Jet Boating operates 30-minute Shark attack thrill rides, departing daily from Circular Quay (Subject to availability & minimum numbers). This awesome adventure begins in Circular Quay and is a magnificent combination of sightseeing and traditional jet boating with spins, slides, powerbreak stops and fish-tails. It’s this unique combination of sightseeing and fun that makes the Oz Jet Experience a must-do when in Sydney. On Oz Jet’s lap of Sydney Harbour you will come face to face with the stunning sights of Sydney, from the world famous Opera House, to Clark and Shark Islands, the harbourside mansions that are Australia’s most expensive real estate, Taronga Zoo and the Sydney Harbour Bridge. *Get 15% off when mentioning ICE at time of booking. The Sydney Tower Eye – often referred to by Sydneysiders as Sydney Tower, Centrepoint Tower, AMP Tower, Westfield Centrepoint Tower or Sydney Skytower, amongst other names – has been an integral part of the famous Sydney skyline for the past 30 years. 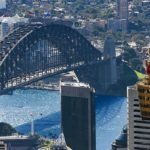 The Sydney Tower remains the tallest structure in Sydney and guests can enjoy the views from the Sydney Tower Eye Observation Deck and the outdoor SKYWALK Tour. One of Sydney’s most loved areas, renowned for celebrating the influences that have come in from many other countries. Enjoy the diversity, character, history, markets; the Inner West is cosmopolitan, but best of all it has a great community spirit and plenty of places to just hang out. It’s become a favourite with the arty, literary, and journalistic set, and still retains its old charm. 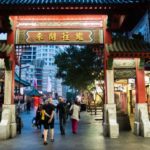 The Inner West is a multicultural melting pot with a large Greek community and a growing Asian influence with plenty of Vietnamese grocers and restaurants. The suburbs which make up this part of Sydney are still evolving, these days attracting young professionals with a slightly alternative approach to life. The precinct is buzzing with a laid-back energy, a collection of cool jazz bars and boutique breweries. Stand up paddle boarding may have originated in tropical Hawaiian waters, but it has made a home on Sydney’s harbour with WATSSUP! 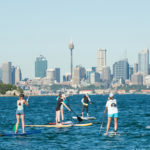 Watsons Bay Stand Up Paddling (WATSSUP) is Stand Up Paddle School, located in the heart of Sydney harbour at Watsons Bay (only a 15 minute drive or 20 minute ferry ride) from the Sydney City Centre. At WATSSUP the ocean is our gymnasium! We strongly believe that stand up paddle boarding is a great way to maintain an active, fit and healthy lifestyle. It is a place to learn new skills, train hard, get fit and also a place to meet like-minded people and have fun! Our Private Stand Up Paddling lessons are designed for individuals (at any level) wanting a personalised SUP experience. Whether you’re completely new to the wonderful sport of stand up paddling or a seasoned SUPer wanting to correct your technique, our Private SUP Lessons give that extra attention to detail, helping you go faster and become more efficient on the paddleboard. 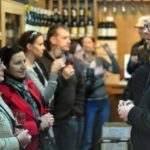 Embark on a South Coast winery trail with Foodscape as we start the tour with a sneaky stop off to a local hand crafted chocolatier for an informative talk and tasting then head off to visit 3 local vineyards, each selected for a unique speciality. Our winery tours visit some of the northern wineries of the Shoalhaven Coast wine region, which now boasts over 15 vineyards, producing a wide variety of quality wines, fortifieds and liqueurs. 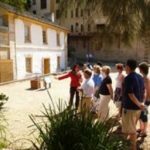 There is no better way to experience the living history and heritage of Sydney than on foot with The Rocks Walking Tours. Come and linger amongst the many reminders of our intriguing past, leisurely strolling through hidden narrow alleyways, along charming cobbled lanes and into shady courtyards within The Rocks. You will be captivated by the charm of this special place and for 90 minutes our commentary will intrigue & entertain you! The Rocks Walking Tours is Sydney’s longest established walking tour company and offers the ‘original’ guided walking tour of The Rocks! The stories are alive in the sandstone! 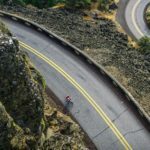 Enjoy Sydney’s original and best guided bicycle tours to get the most out of your time in the city…or hire a bike and explore Sydney on your own!